Editors note: What is it about Colorado and all the crazy people that live there? I don't think I ever want to ride my bike anywhere near CO. The inflatable bike helmet. Because I am worried about my haircut! The Pop-Up Bicycle Basket is designed to fit most bicycles, ship flat and be installed in either the front or rear of any bicycle. The baskets unique design and sturdy construction are fit for urban cycling and carrying purses, backpacks or shopping bags. The design goal of the Pop-Up Bicycle Basket is to encourage urban cycling through beauty and function. Alternative modes of transportation deserve the same attention to design and utility given to their less environmentally friendly counterparts. Note: Due to the nature of the product we are unfortunately not able to accept returns on Pop-Up Bicycle Baskets that have been bent and/or assembled. The Pop-Up Basket is made from laser-cut, powder coated steel. Designed to ship flat and get maximum use of standard metal sheet goods. Design eliminates unnecessary cutting and waste. Made in the USA from locally sourced materials. When the Coors International Bicycle Classic blew through Boulder in 1980, one law school student at the University of Colorado was intrigued enough to stand on the racecourse and cheer on the competitors. The ambitious student was impressed by the fourth largest race in the world. But he didn’t think about the Coors Classic again until he started seriously bicycling six years ago, and by that time the race had been defunct for more than 15 years. And while most cyclists would acknowledge that it’s silly for Colorado not to have a major staged bicycle race, this law school graduate and cycling advocate had the power to do something. After all, being Gov. Bill Ritter comes with some benefits. “I came to a place believing if we hosted a staged race, it would be in the best interest of the state of Colorado and the people of Colorado,” he told the Denver Daily News yesterday. A big issue at stake with tonight's elections is how a Republican-controlled House of Representatives — a result many feel is foregone conclusion — would impact bicycling and active transportation programs, funding, and policies. With that transfer of power, Republicans would also assume leadership of the all-important House Committees that set the rules of the game for everything from tax policy (Bike Commuter Benefit for instance) to infrastructure spending priorities. At the center of what's at stake for bicycling and active transportation are three men: John Boehner, Jim Oberstar, and Peter DeFazio. Return of the Scorcher Video - The start of Critical Mass? LONG BEACH — Critical Mass or critical mess? That depends on which side of the story you hear. About 100 bicyclists from "Critical Mass," a monthly bicycle ride to celebrate cycling and to assert cyclists' right to the road, caused a bit of a mess as they rode through the streets of Long Beach Friday night, according to police reports. Long Beach members of the group met at Cal State Long Beach's Pyramid between 5:30 p.m. and 6:30 p.m. for a bike ride that turned out to be shorter than planned when they were stopped by police and cited. Several bikes confiscated for city violations. Passed 4000 miles for the year, which was my goal. 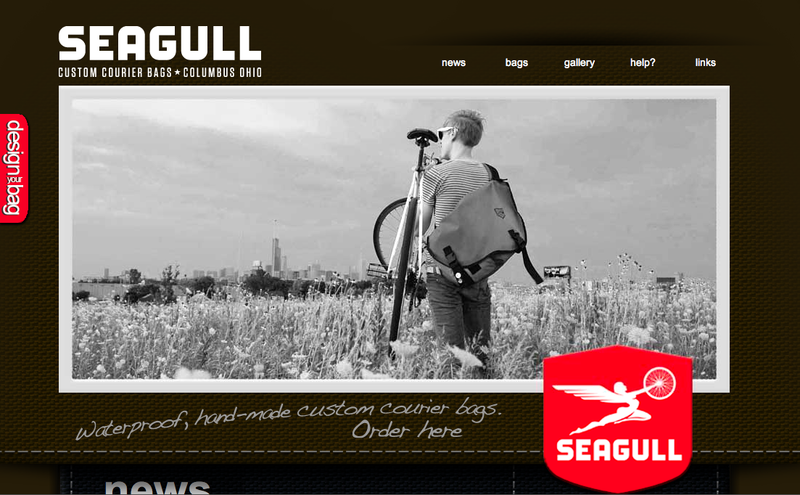 New Seagull Bags website - Design your bag online! Take meaningful climate and energy action and inspire yourself! Climate Ride is a fully-supported, 5-day charitable bike ride. 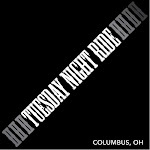 There are two annual events to choose from in 2011: the classic Brita Climate Ride NYC to DC ride this May 13-17, 2011, and the epic Climate Ride California to be held next Fall 2011 (stay tuned for dates). Proceeds from Climate Ride events support important projects at organizations focused on green jobs, clean energy, climate education, and bicycle infrastructure. Climate Ride is your chance to learn more about the climate crisis from our expert speakers, network with others who are passionate about renewables and the climate, and most importantly take action, all while experiencing an exciting cycling adventure through some of the nation's most beautiful countryside.